National Parks are not only a wonderful treasure of this country – but they are also a budget-friendly way to plan a trip like no other. There are more than 400 national parks all over the country, each offering something unique and plenty to do. Various sports, horseback riding, biking, hiking, walking or running on trails, boating, camping, climbing, exploring historical landmarks and sites, exploring cultural landmarks and sites, wildlife viewing, nature photography, and fishing are just a handful of the plethora of activities you can find at a national park. Before you go, check out these tips for saving money while visiting, what to bring, essential resources, and tips for having the best possible affordable experience. Visit a free park or go on a free day. Of the 401 national parks in this country, only 117 parks charge an entrance fee. If you’re planning on visiting a park that charges, check out when they offer free admission. If you plan on doing a lot of national park visits this year, live in close proximity to a park, or plan on visiting ones that charge a fee, you may want to consider purchasing an annual pass. 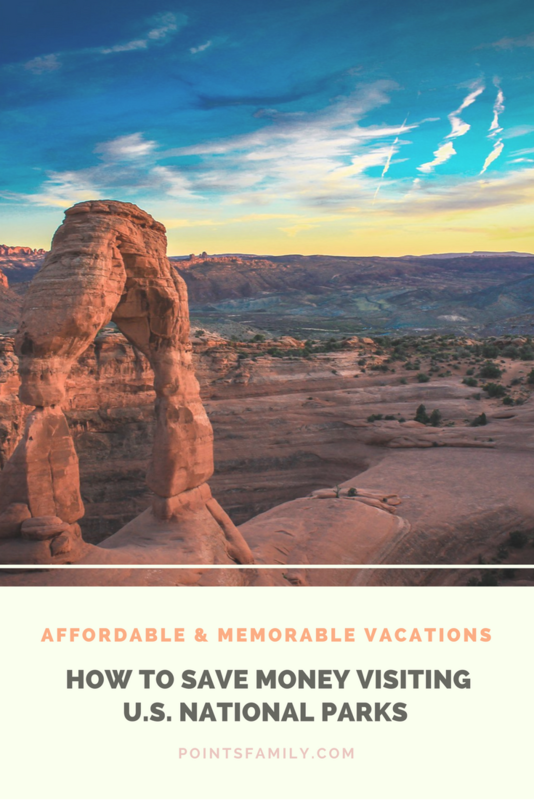 The pass costs $80 for the year and will get you admission into all national parks, national wildlife refugees, national forests, and other Federal lands that would otherwise cost you. Once you have an idea of the parks you’d like to see, find out if they charge an admission fee and what it is. Then you’ll be able to figure out if you’ll save money by purchasing the annual pass. This pass is totally free if you are an active military member. If you’re a senior (age 62 and above) you can purchase a lifetime pass for $10. 4th graders can also get a free annual pass. 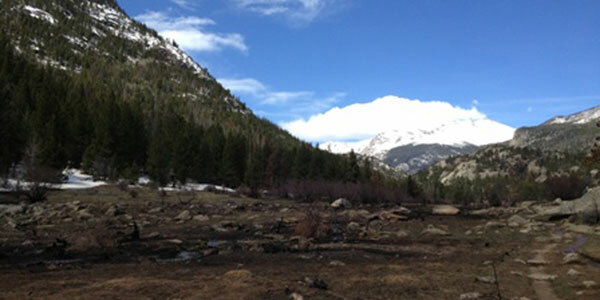 For more information on purchasing or acquiring a pass, visit the NPS website. Since the parks often charge by car, carpool with other friends and family members traveling with you to save money on parking. Plus, you’ll save on gas. You can also earn admission to the parks for free for one year by becoming a volunteer. You must acquire 250 service hours on a cumulative basis for this pass. For more information, visit Vounteer.gov. Before you go, find out if any areas of the park are closed. You may want to change your plans and not waste the cost of the trip if you’d just be turning around. Each park is unique and offers something different. If you’re flexible on where you’re traveling, see what park is right for you. Find out what you should bring, what you should be leaving at home, the dangers of wildlife, the weather conditions, what type of physical level you need to be at to do specific activities, and what you need a permit for. While you’re doing your homework, you’ll discover that the park probably has something to look out for – wild animals, insects, or dangerous plants. If you’re new to national parks, or even new to exploring the outdoors, this can either seem unrealistic or seem scary. I assure you that these things are actual concerns, but it doesn’t have to stop you from venturing out. Understand what types of animals you may encounter (mountain lions, bears, rattlesnakes, etc.) Learn what you can do to avoid these encounters (such as properly disposing of garbage at your campsite) and what you should do if you encountered an animal. Always stop at the visitor’s center. This is where you’re going to find the most up-to-date information on the conditions of the trails and general condition of the park. Now is the time to get any of your questions or concerns addressed that you may not have with your initial research. Consider going during an off-peak time. Less popular times may be the key to cheaper rates and lower costs of nearby hotels and other attractions. Be sure to thoroughly check out the National Park Service website. The site lets you search for a park by the name of it, location, and activity such as fishing, diving, hunting, snorkeling, or wildlife viewing. You can also view by topic such as coral reefs, dinosaurs, Revolutionary War, or wildflowers. Search by state as well. Once you have found the park you want to visit, the website can give you the best directions, the conditions of trails, any fees and reservations you’ll need to deal with, campgrounds, the condition of the roads, things to know before you go, and things to do there. Recreation.gov is an essential guide to all of America’s public places. Search for trip ideas by destination or by activity such as camping, boating, and biking. Go here to make reservations for campsites, picnic shelters, guided tours for historic areas or caves, or guided hikes. You’ll also go here to apply for and pay for permits for whitewater rafting, wilderness canoe trips, and anything else that requires a permit. If you plan on doing anything on trails – hiking, walking, mountain biking, or trail running – Alltrails.com is a great site. Search for hikes nearby. It gives an overview of the hikes, skill levels (easy, medium, and hard), and users can upload photos and give helpful reviews. Which National Parks have you visited? Which parks do you want to visit?